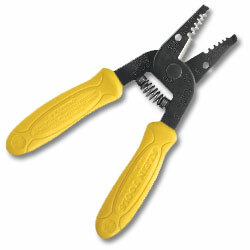 Compact, lightweight wire-stripping and cutting tools. Narrow nose fits into tight places. Textured handles provide a firm, comfortable grip.